Mark Carrigan and I have continued our discussion begun here about the difference between various media (in this case, blogs and Moleskine notebooks). We haven’t discussed aesthetics, yet — but, to be clear, I’m not into technophilia. 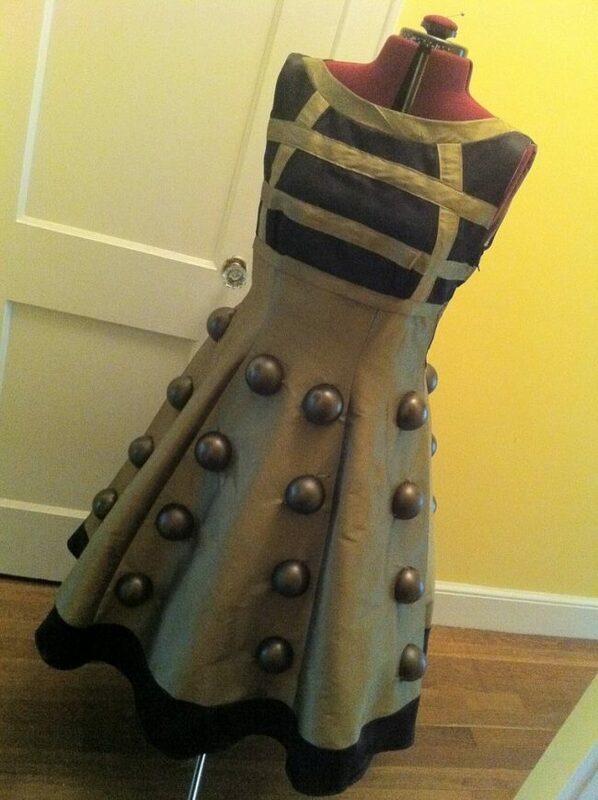 Dalek, you look maaaavelous! Makes me want to exterminate you. Instead, our conversation took a turn toward libraries. Initially, I suggested that archiving and preservation were more of a problem for digital products than for physical books or notebooks. But that’s not quite right. After all, libraries are figuring out how to go digital while still archiving and preserving things. I then suggested a comparison that I now don’t agree with: that the library is like a bank, while the cloud is like a mattress. (Yes, I apologized to libraries at the time for comparing them to banks.) Part of what I don’t like about this comparison is that it evokes security concerns. Yes, these exist and are legitimate concerns for folks storing things — even thoughts, such as in a blog — online. Privacy and trust are even bigger issues these days (I’m looking at you, NSA). But when it comes to scholarly communication, I think we have additional needs — needs libraries fill, even if we don’t appreciate it. I then suggested that a more apt comparison was the museum. That captures something that goes beyond mere security concerns and includes things like preservation and curation. But even that’s not quite enough. This post suggests ‘stewardship’ as the proper role of the library. To me, this is closer to what I was getting at. It includes a kind of sustainability angle. Libraries collect, preserve, and help disseminate our work with an eye to future generations. Now, maybe we only care about that sort of stewardship for our official scholarly work — you know, books and articles. But if we’re serious about blurring the traditional distinctions of scholarly communication — and I am — then I think we also need to be concerned about the stewardship of our blogs. It’s this sort of vague awareness brought about by my engagement with libraries and librarians that prompted me to join this list of academic blogs being put together by Lee Skallerup Bessette (@readywriting). As usual, though, the librarians are way ahead of us in thinking about this stuff philosophically. ‘We scholars’ really ought to engage with our libraries much more than we do. We might actually learn something. This entry was posted in Scholarly Communication and tagged blogs, libraries, stewardship. Bookmark the permalink.